My brother bought a Wii Fit over the weekend and he eventually persuded me to stand on the thing. I don't think i'm gonna stand on it again. I've fallen out with the Wii - its tells me I'm overweight...and almost obese. That scares me....I'd like to loose a stone...but according to the Wii even if I lost 2 stone I'd still be overweight. 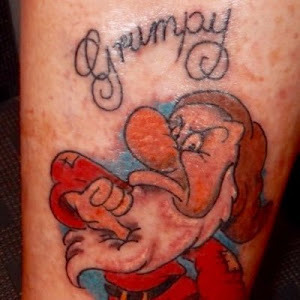 When I got on it at first it said "One at a time please"
Hey Grumpy. Love the blog. 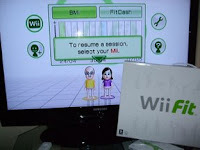 If you want an additional challenge with your wii you should try to swap the wii fit board round so that the left is right and the right is left. I'd be interested to hear how you get on with that.